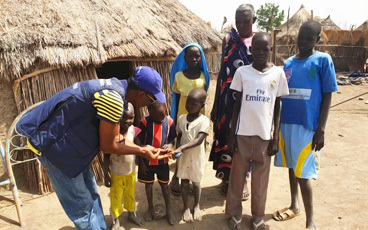 Long distances, an ever-changing environment and minimal infrastructure are only a few of the barriers that the Lake Chad Task Team face as they conduct polio vaccination and surveillance activities in response to wild poliovirus detected in Nigeria in 2016. Overcoming these hurdles isn’t easy, but innovations ranging from geographical information systems (GIS) technology to boat-side vaccination are going far to ensure that every child is reached with lifesaving vaccines. 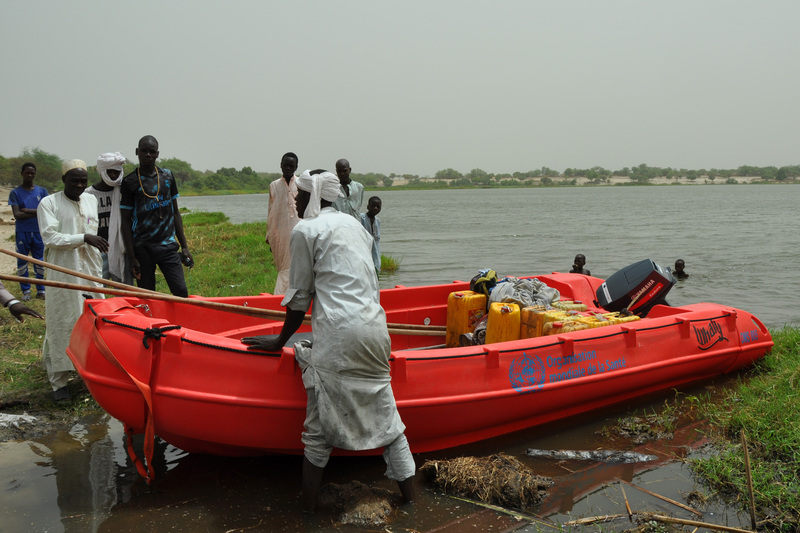 “I have heard of several more islands that have appeared since the dry season began”, says a local official as he discusses plans for a vaccination campaign about to be held near Bol, the main lake-side town in Chad. Unique climate conditions contribute to fluctuating water levels, and land is built up and destroyed within weeks. Now, new information is recorded using geographical information systems (GIS) technology, increasing the accuracy of regional vaccination plans, and ensuring that health workers visit every community with vaccines. Travelling via speedboat reduces the journey time to islands from days, to hours. 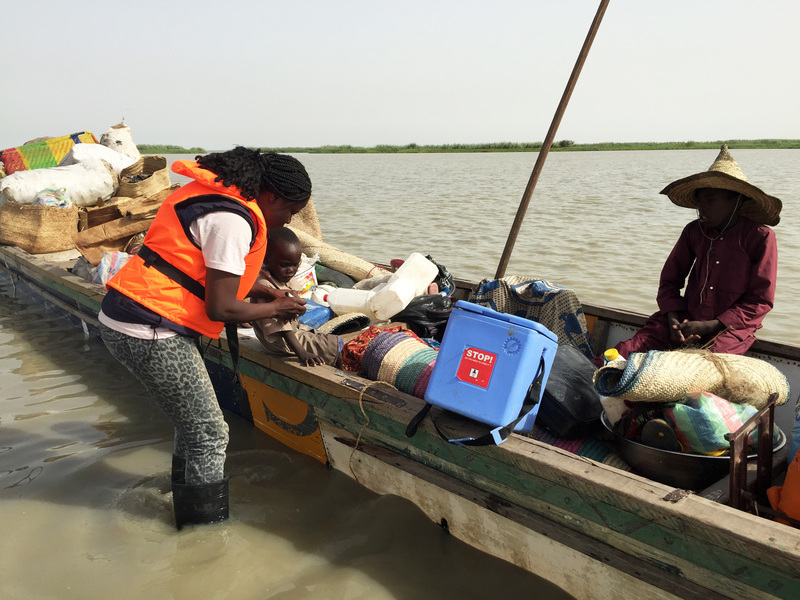 The team have invested in dedicated vessels for polio eradication activities, freeing them to travel at a moment’s notice to investigate a case of acute flaccid paralysis, or deliver vaccines. These stable, tough boats are specially chosen for long distance journeys. 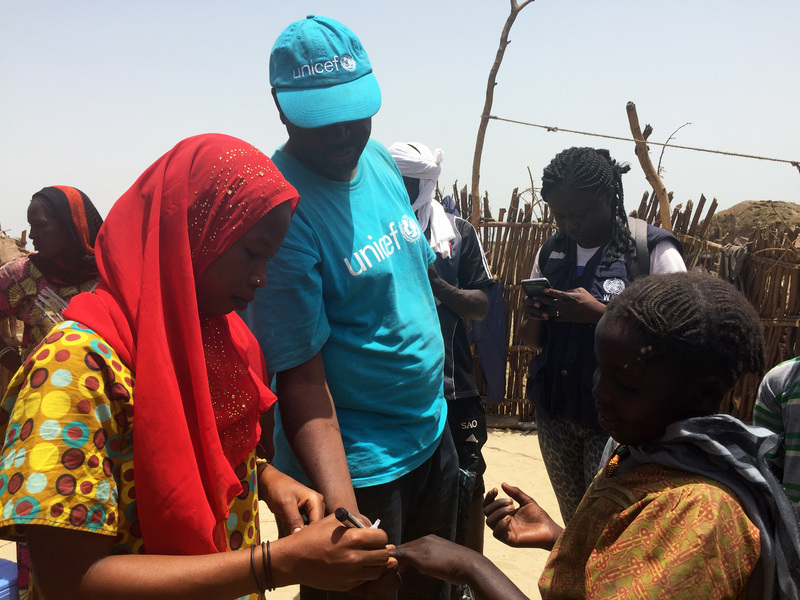 Arriving on an island, the team supervise the activities of community-based vaccinators, ensuring that every child receives two drops of polio vaccine, and that their finger is stained purple to distinguish from those children not vaccinated. Vaccination activities happen in markets, villages, and nomadic settlements. 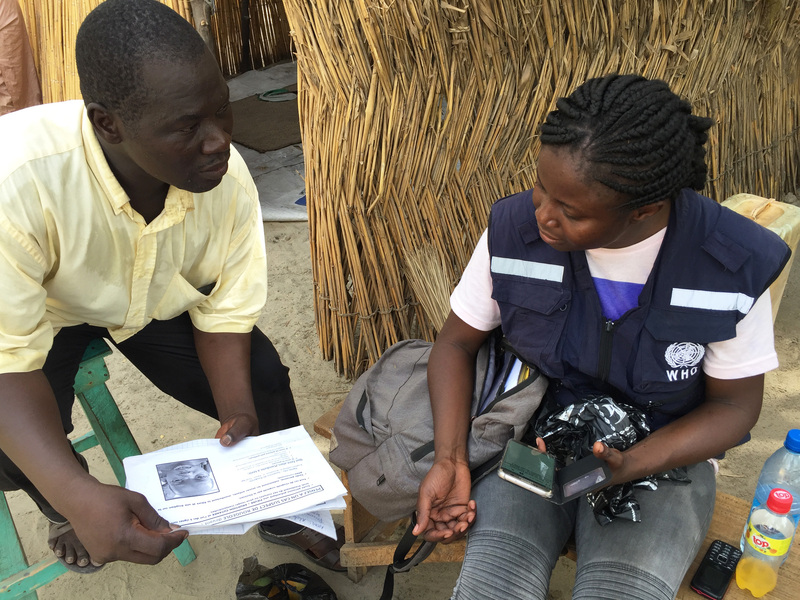 Recruiting women and men to work in their local communities increases vaccine trust and acceptance. This is one of the key lessons learned over the course of the global polio eradication programme. 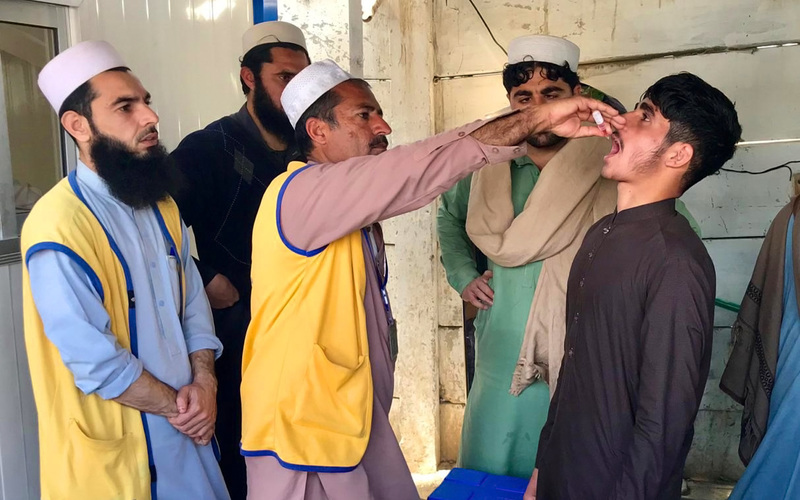 As temperatures soar, it’s critical that the polio vaccine is kept cool, an immense challenge in places where there is little or no electricity. 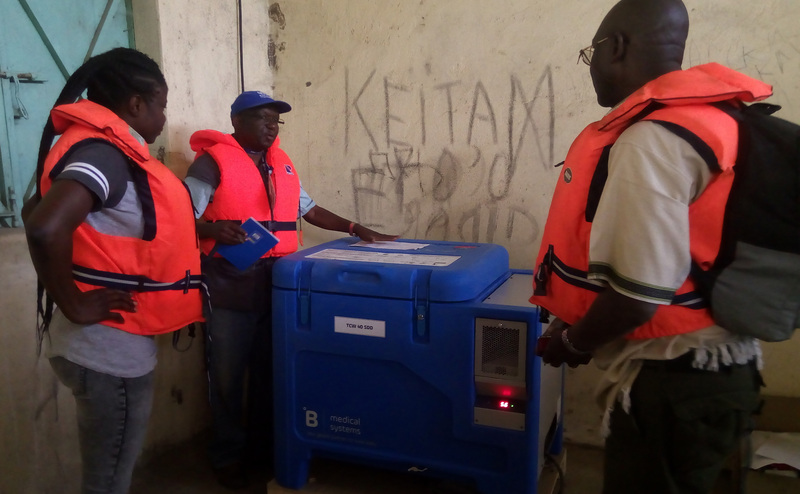 A game changer for the team has been the introduction of dedicated vaccine refrigerators, some solar powered, painstakingly transported to and installed in several island villages. This means that vaccines are kept cold week to week, reducing the amount that must be transported by the team for each campaign, and limiting vaccine waste. “Seeing how healthcare is so important, especially for mothers and children, I was inspired”, says Ahmad, an IT expert. 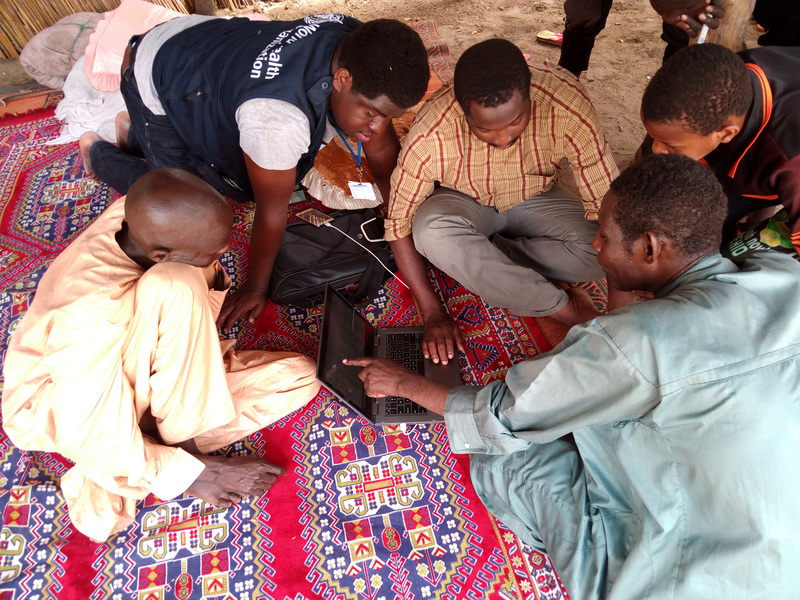 During each campaign, he travels to distant villages to train local health workers on new technology to ensure high quality vaccination campaigns. Using specially-designed mobile phone applications, the team helps ensure that every household is visited by vaccinators. 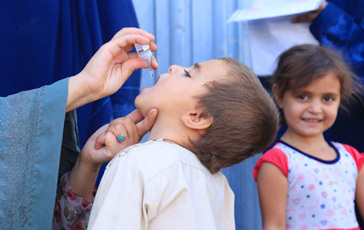 “Can you tell me how to recognize the symptoms of a potential polio case?”, asks Dr Adele. She records the answer given by Robert, who is the coordinator of a small island health centre, on a mobile phone used as part of electronic disease surveillance (also known as Integrated Support Supervision). 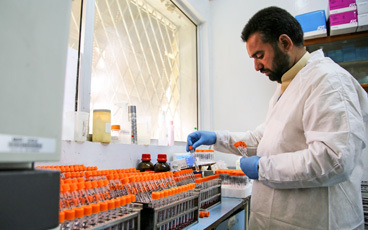 Conducting regular disease surveillance monitoring allows the task team to ensure that every case of acute flaccid paralysis has been properly reported. 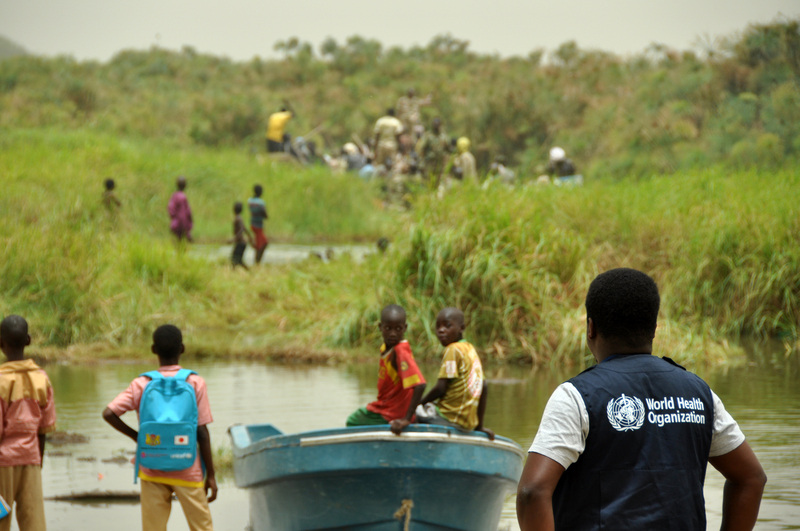 At the same time, they reinforce best practice for disease surveillance. This has the added benefit of ensuring that the team maintains a close relationship with health workers, many of whom live days’ journey from the nearest hospital. Calling out in French, Arabic, and local dialects, the team speak to parents in passing boats and wooden pirogues, “We’re vaccinators, let us see your child’s finger mark!”. Drawing alongside every vessel as they journey to and from villages, the polio eradication team ensure that all travelling children have received two drops of the safe, effective oral polio vaccine. Families journeying across the lake are often headed to markets, where unvaccinated children could potentially spread the virus as they play. 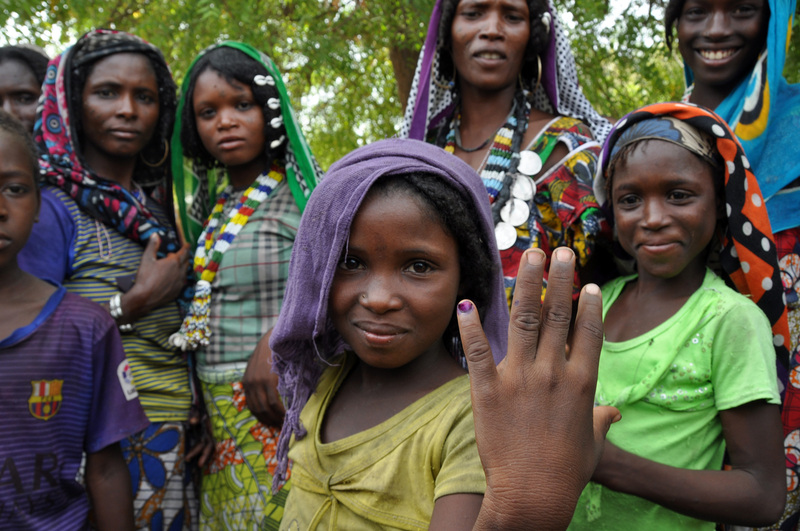 Before they continue on their way, the team diligently vaccinate every child without a stained finger. 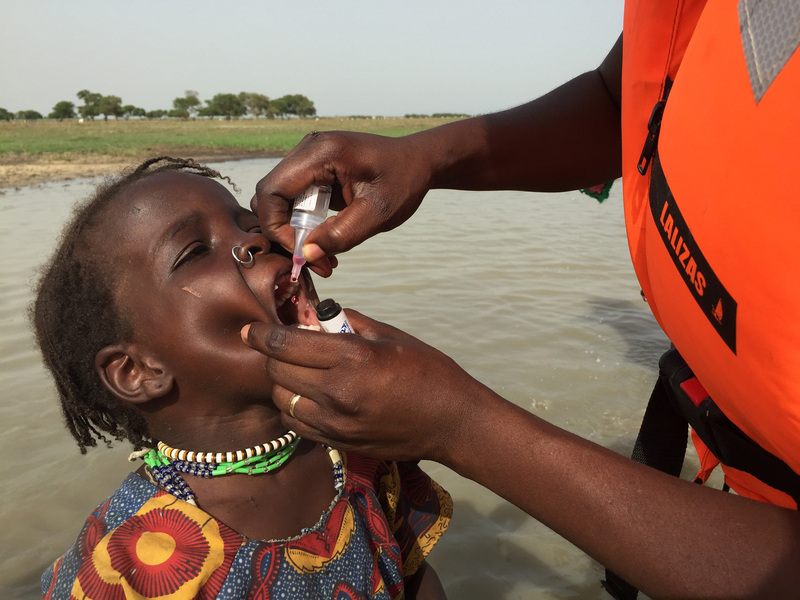 No wild poliovirus has been detected since September 2016, after outbreak response began in the Lake Chad Basin. 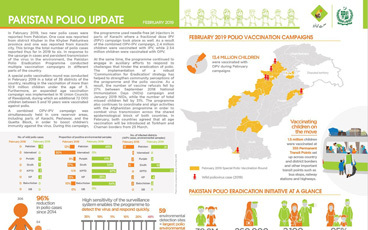 Vaccination rates are higher, whilst investment in polio eradication operations and infrastructure has helped to strengthen the wider health system in the lake. The tools and strategies of the Task Team are defeating polio, and leaving a strong legacy that other health programmes can follow.